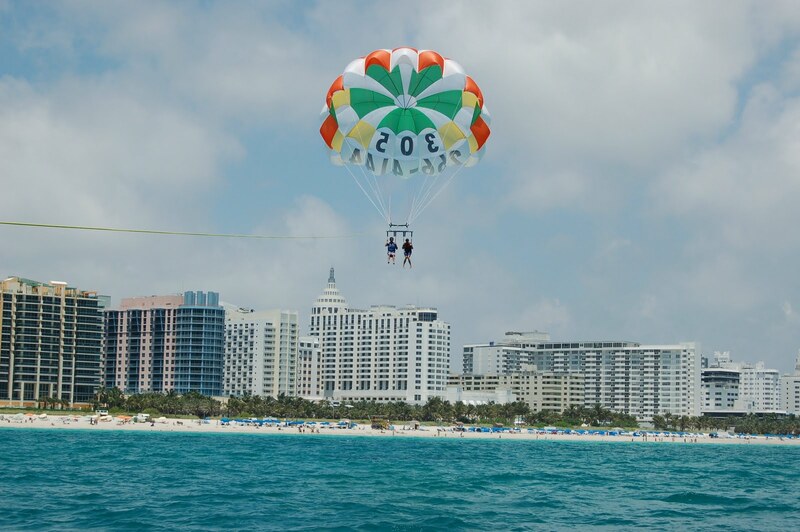 Today I went parasailing and it was just like flying. What a gorgeous day! What an incredible view of South Beach from a parachute. The weather was perfect and it was a wonderful experience. 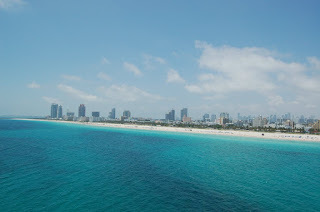 It's just one of the adventures that I'm researching for my feature in Where Magazine on Adrenaline Adventures in Miami. 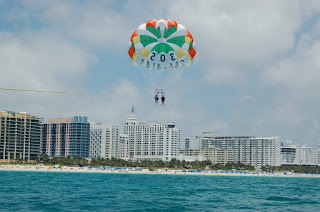 Oddly enough, parasailing seems like an adrenaline adventure but after you're harnessed in (unless you have a fear of heights or flying) it's very relaxing. 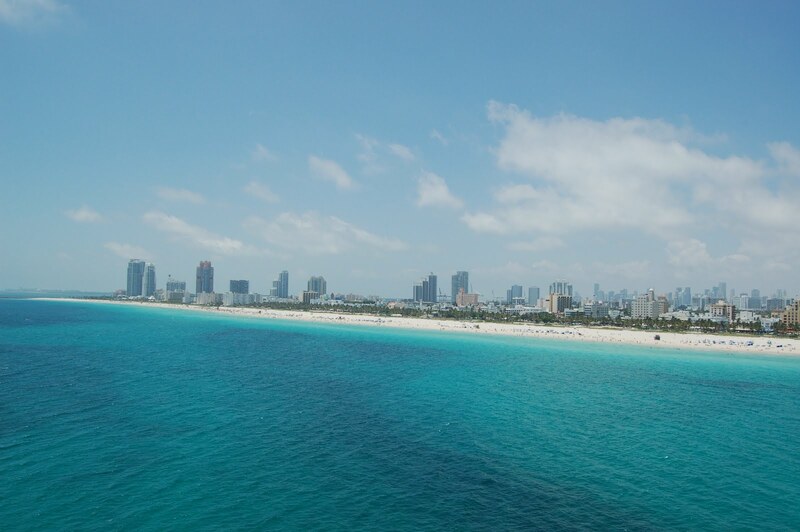 It's a very calm, quiet, relaxing experience high over the ocean overlooking the shore of South Beach. Tomorrow I'm having a wave runner/jetski experience. On Saturday, I'm flying weightess in G-Force One. On Monday, I'm swimming with the dolphins. Today I picked the winners of the Spring Awakening tickets (to be posted on Friday on http://www.miamiartzine.com/) and the winners of the Parlez-Vous-Francais? tickets which will also be posted on Friday. Congratulations ticket winners. Can wait to see both shows. Check out http://www.miamiartzine.com/ for lots of arts info and ways that you might win tickets.